The art and science of lettering, fonts, and characters. Apart from ghost buildings and abandoned theaters I also visited a number of temples while wandering around Xinpu 新埔 last week. 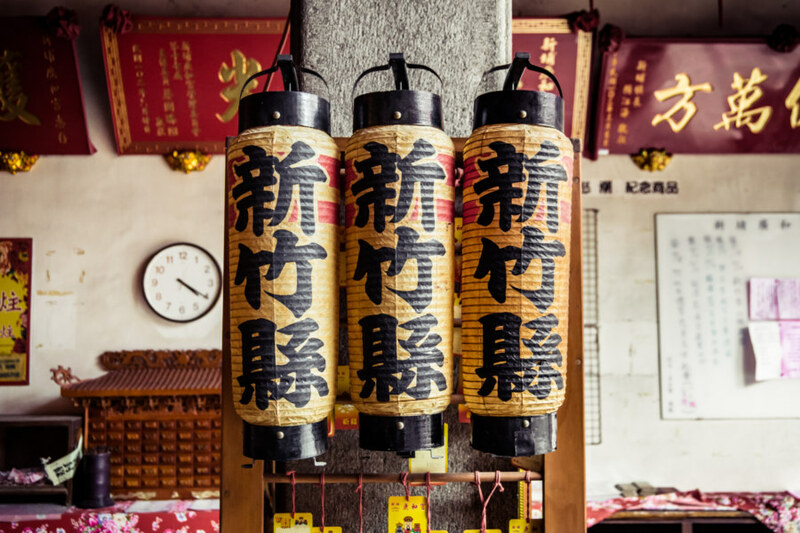 I found these three lanterns hanging inside Guanghe Temple 廣和宮 and was struck by the stylish and confident brushstrokes for Hsinchu County 新竹縣 (pinyin: Xinzhu Xian). Whether these lanterns were painted by hand or produced in a factory is unclear to my inexpert eyes; only in some small aspects do the characters appear to differ. Whatever the case, I was charmed by this display of hometown pride in small town Hsinchu 新竹. I was wandering through Sanhe Night Market 三和夜市 on the first day of the new year when this small shop caught my eye. 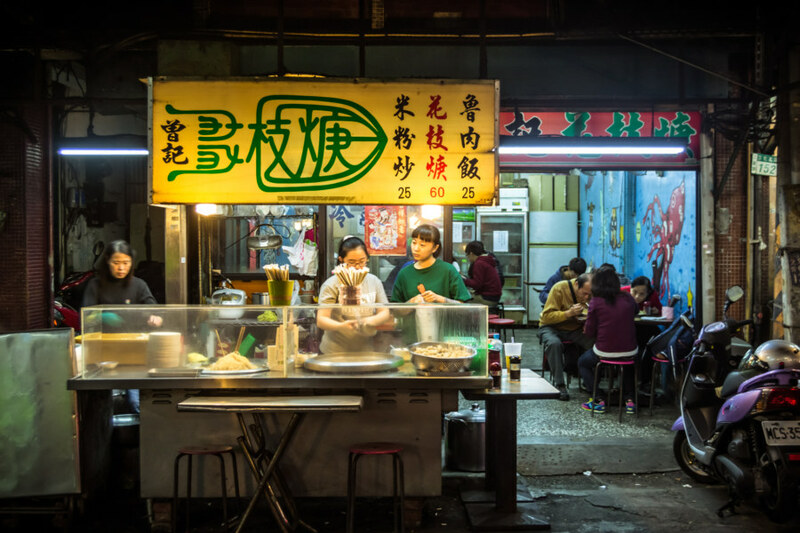 The formal name of the place is Cengji Huazhigeng 曾記花枝羹 and, as the last three characters would suggest, they specialize in squid thick soup, a popular Taiwanese snack. 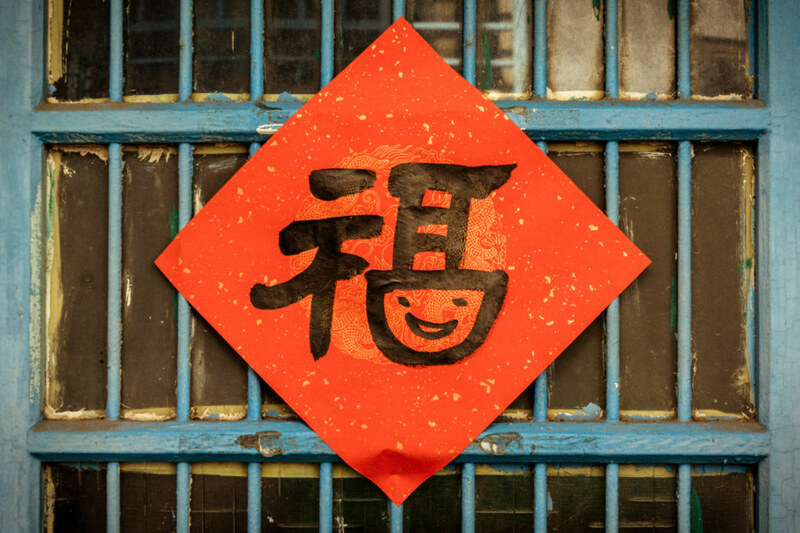 The highly stylized characters on the signboard look something like seal script 篆書 to my inexpert eyes—with the last character, “geng 羹”, swapped for the more traditional “焿”. Don’t ask me to make sense of that first character, mind you—it is enough to know that “hua 花” means flower. I noticed this cute character on the door of an old home in back alley Changhua City 彰化市 while on my way to a cafe today. I didn’t recognize it at first, though I assumed it was fu 福, which means fortune or good luck. With a bit of research I discovered that I was right—this is an old school variant with a new school twist. Decorating your home with red couplets and characters is a Lunar New Year tradition—and the holidays are only a few days away. 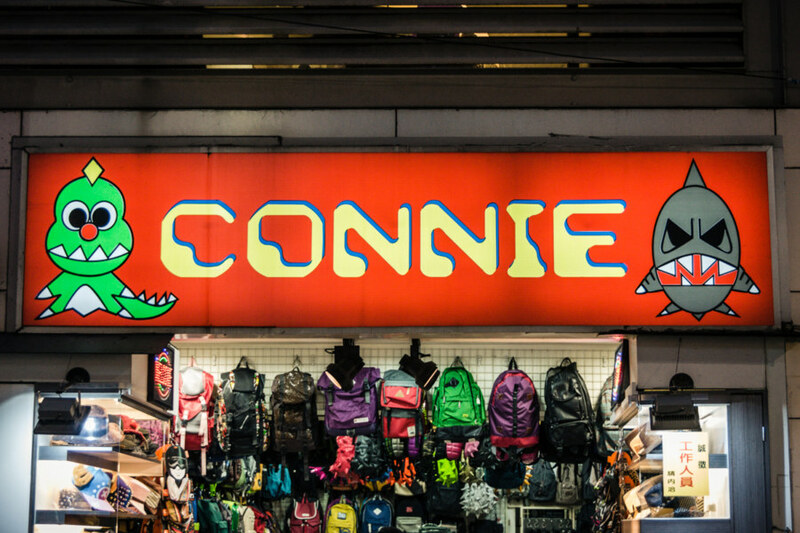 Businesses in Taiwan close but their signs often remain, littering the urban landscape with small reminders of what once was. 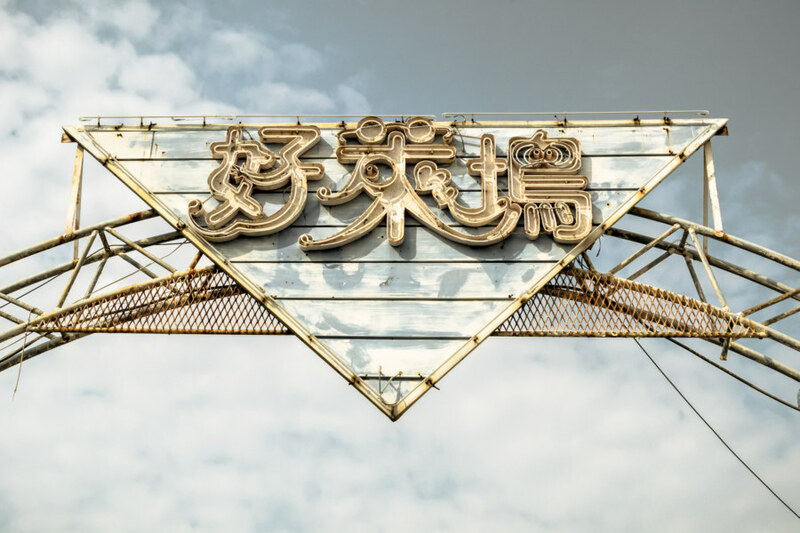 This particular sign hangs over a parking lot next to a grocery store on the eastern side of Yuánlín 員林 in Changhua 彰化. 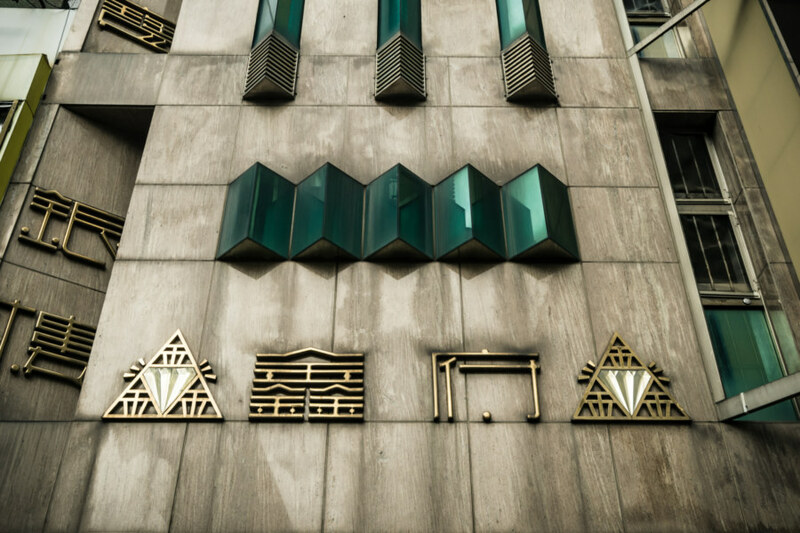 It marks the entrance to an old, abandoned KTV by the name of Haolaiwu 好萊塢, better known as Hollywood. 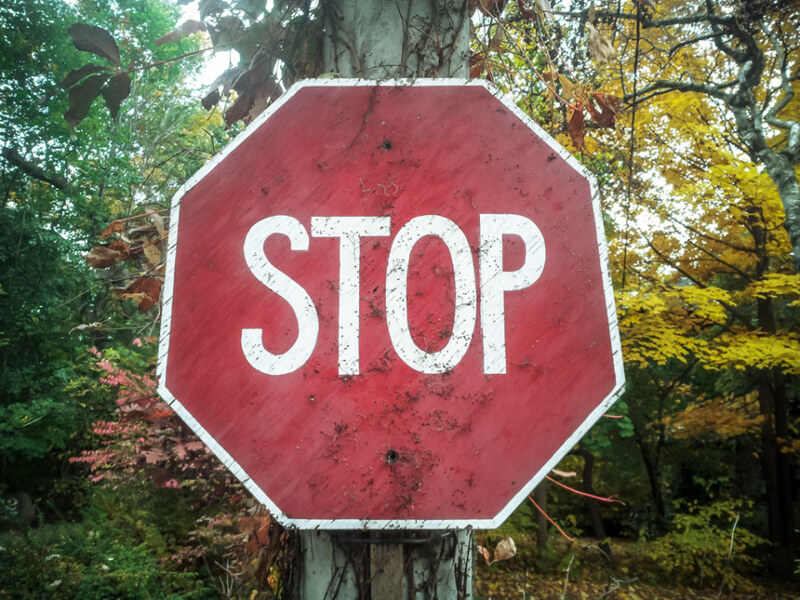 I spied this hand-fashioned stop sign in Wychwood Park, a unique neighbourhood in uptown Toronto. Usually traffic signs are mass-produced in factories to rigorous standards so it is quite interesting to see a sign with a human touch. In March of 2014 I went to see the Xu Bing 徐冰 retrospective at the Taipei Fine Arts Museum 台北市立美術館, easily my favourite gallery space in Taiwan. 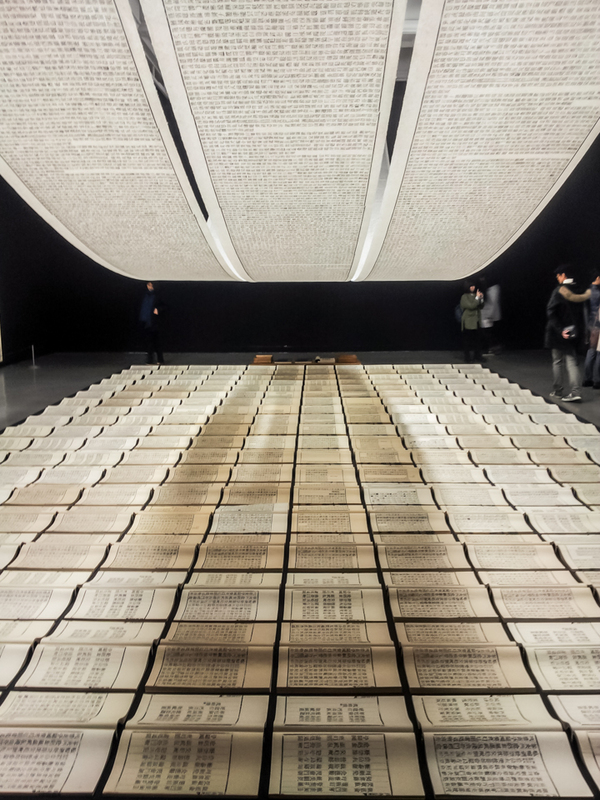 Xu Bing is a Chinese artist working mainly with representations of language, particularly in the context of interactions between East and West. I first discovered him through an article about character amnesia that discussed A Book From The Sky 天書, a work that continues to capture my imagination. I should warn you: I’m not an art critic and these photos were shot on my cruddy smartphone. If you’d like to peruse something much more informed and professional about this exhibition I recommend perusing the curator’s statement, English language reviews here, here, and here, or this virtual tour. What follows are a few fleeting impressions of my own from a few hours in Xu Bing’s world.